"A time will come, however, Indeed It Is Already Here, when the True, Genuine worshipers Will worship the Father in Spirit and in Truth (reality); for the Father Is Seeking just such people as these as His worshipers. God is a Spirit (a spiritual Being) and those who worship Him -Must worship Him in Spirit and in Truth (reality)!" Lord, in the name of Jesus, I come to Praise and Honor You, I come to You with a small List of things I am Thankful and Grateful for in the name of Jesus! I thank You for saving me from myself every day, for guiding me on the Path that You created for me to walk on. I thank You for Your forgiveness of my sins, and for helping me to forgive others as quickly as I expect You to forgive me! Your Brand New Mercies do I expect and I see every day. I Thank You for the Grace to trust You more and for growing, mature faith as I wait with You and on You, for Your timing and order are perfect. I Thank You for teaching me How to wait with You and on You Father. With Love, Joy, and Praise, not with complaining, grumbling, and whining. I Thank You Lord for teaching us to actively Listen to You, truly those who have ears that hear, will know Your voice, and those with Love for you, will obey You. Lord, I thank You for continuing to help me to develop the Right character that has the ability to carry your anointing on my life, Keeping me Open for Your Will to work through. I thank You for Your purpose for my life and that You make sure that I accomplish Your purpose every day. I Thank You for making me a Righteous vessel of Your Love and Work. I Thank You Father, for keeping me focused on You and not the noise of the world that tries to distract me from You. I thank You for the Power of Your Love! We praise You! 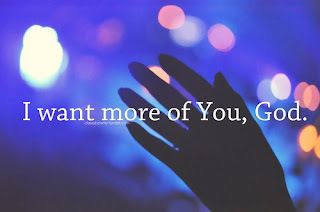 Yes Lord, I hear You, I Know You, I Expect You, I want More of You--regardless of what trouble, lack, or challenge that I face, The Sound of Your Love is All I hear. I thank You Lord for Always Being, I thank You Father, in the name of Jesus I praise You! I Thank You for encouraging and helping my sisters and brothers, my family and friends, for the growing and loving relationship You have with each of us, for Being our help, our love, our wisdom, our guidance, our protector, and our supplier of Every spiritual and natural Need and Desire connected to Your purpose for each of us. I thank You for renewing us, for correcting us, for changing us into Love. I thank You for always having a Way Made Through so that we can Grow through every challenge, every trouble, sickness, lack, and need. I thank You because when we seek Your Ways, we Always come out better than we went in, And the Glory belongs to You!I thank You for Your Holy Spirit, who we cooperate with as we are Led to accomplish Your Will for each day. I thank You because I can expect You Always to Be with us, all we have to do is Remember to come to You First Every Time and Seek Your wisdom and will for each decision that we need to make. You always Have the Best for us Father, thank You! Lord, I Thank You for strengthening and uplifting those who Work for you behind the scenes that no one really knows about. Those who are connected closely to Your Spirit. I thank You for those of us who pray without ceasing for others, those who are always helping the poor and sick, the needy, the troubled, the differently abled, the widows and orphans. Those who You put in jobs so that You can work through them as they face challenges, injustices, lack, meanness, darkness, and unethical work practices.Those who nobody really sees, or knows the Work of Love they do to honor and glorify You God. I pray for these Workers of Love, that You have put into positions of Praying others through, to support those that Are seen and heard on a daily basis. I thank You for providing to us the workers who do what You instruct them to do, behind the scenes. I thank You Father In the name of Jesus, by the authority my Lord has given to me, I speak Life, compassion, maturity, love, faithfulness, trust, truth, clarity, wisdom, healing, obedience, kindness, and strength over all my sisters and brothers, my family and friends, that we will continue to invest in our relationship with You and work together in building up Your Kingdom here on earth as It Is in Heaven!